Punjab Chief Minister Captain Amarinder Singh’s son-in-law, Gurpal Singh, was among 12 persons booked by the Central Bureau of Investigation on Sunday, 25 February, in a case of bank fraud against Simbhaoli Sugars Limited. The case includes a Rs 97.85 crore loan and another corporate loan of Rs 110 crore which was used to repay the previous loan, both taken by the Oriental Bank of Commerce (OBC). The CBI has invoked sections dealing with criminal conspiracy, cheating and provisions of Prevention of Corruption Act against the accused as reported by The Indian Express. Simbhaoli Sugars Limited is one of the largest sugar mills in the country. Amongst the twelve booked by the agency are Simbhaoli Sugars Limited Chairman Gurmit Singh Mann, CEO GSC Rao, CFO Sanjay Tapriya, Executive Director Gursimran Kaur Mann and other company officials as well as unknown bank officials. 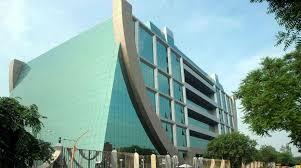 Searches were carried out at eight premises on 25 February, including residences of the directors, factory, corporate office and registered office of the company in Delhi, Hapur and Noida, CBI spokesperson Abhishek Dayal told PTI. The FIR states that the Oriental Bank of Commerce sanctioned a loan of Rs148.60 crore to the company in 2011. The loan was sanctioned for financing 5,762 sugarcane farmers based on a tie-up agreement under an RBI scheme for supplying sugar produce to the company from 25 January 2012 to 13 March 2012. This was dishonestly and fraudulently diverted by said company for its own needs. The account turned NPA in March 2015 and was later declared as alleged fraud by the bank to RBI in May 2015 for an amount of Rs 97.85 crore. It was further alleged that in addition to the existing NPA, the bank, under Multiple Banking arrangements sanctioned another corporate loan of Rs 110.00 crore to Simbhaoli Sugars in January 2015, to pay its outstanding loan of Rs 97.85 crore, and they adjusted the total liability of Rs 11,000 crore in June 2016 by way of deposit of this new corporate loan. The corporate loan, too, turned NPA in four months, thus resulting in its first outstanding loan of Rs 97.85 crore (as alleged fraud) and the fresh Corporate Loan of Rs 109.08 crore (as fresh outstanding).